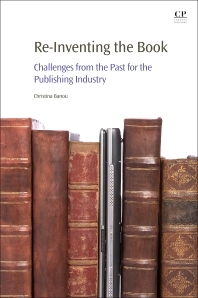 Re-Inventing the Book: Challenges from the Past for the Publishing Industry chronicles the significant changes that have taken place in the publishing industry in the past few decades and how they have altered the publishing value chain and the structure of the industry itself. The book examines and discusses how most publishing values, aims, and strategies have been common since the Renaissance. It aims to provide a methodological framework, not only for the understanding, explanation, and interpretation of the current situation, but also for the development of new strategies. The book features an overview of the publishing industry as it appears today, showing innovative methods and trends, highlighting new opportunities created by information technologies, and identifying challenges. Values discussed include globalization, convergence, access to information, disintermediation, discoverability, innovation, reader engagement, co-creation, and aesthetics in publishing. activity and on reader behaviour.